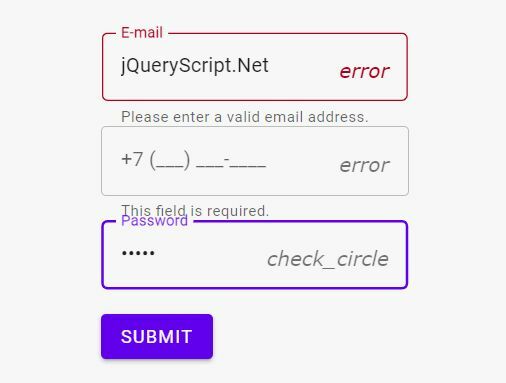 xvalidation is a lightweight and flexible jQuery client-side form validation plugin which highlights invalid form fields and displays custom error messages using CSS classes and HTML5 data attributes. 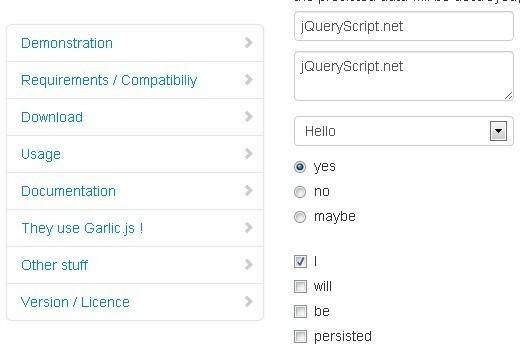 Works perfectly with Materialize, Bootstrap, and Bulma CSS frameworks. 2. 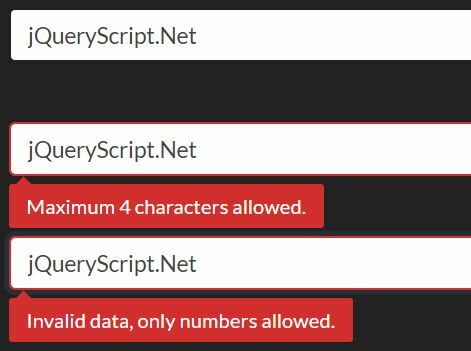 Add the validation rules as CSS classes to your html form and specify the custom error message using the data-content attribute as shown below. 4. 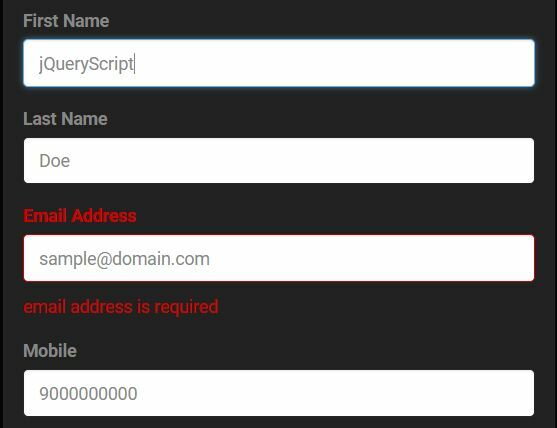 Call the function on the form element to active the live validation on the form fields when user is typing. 5. 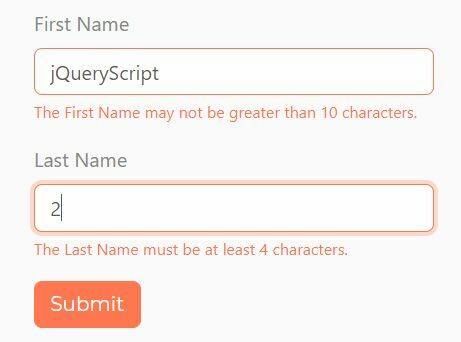 Validate the entire form fields on submit. 6. 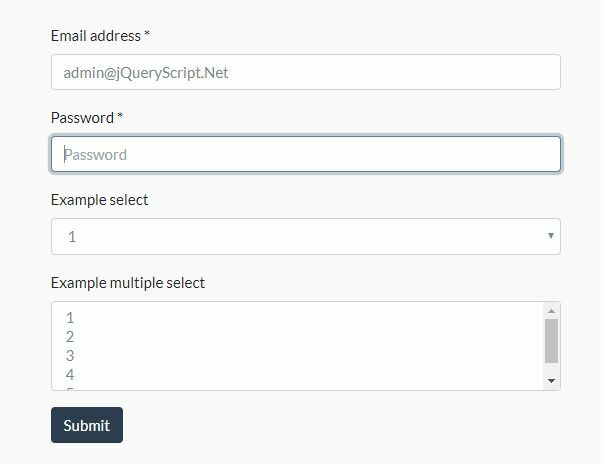 Possible options for the form validation plugin. 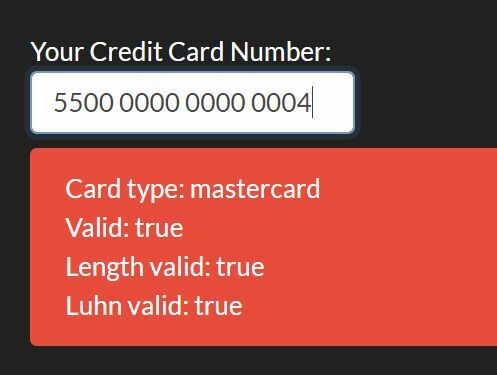 // an array of objects used for custom validation rules. 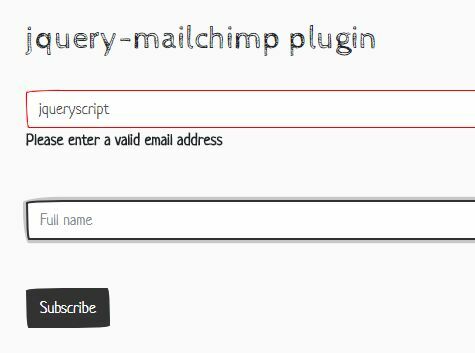 This awesome jQuery plugin is developed by robextrem. For more Advanced Usages, please check the demo page or visit the official website.